Today, we published nominated photos of Czech Nature Photo 2018 photo contest and I thought that you may be interested to look behind the scenes of such competition. Preparations for the new year of the contest began immediately after the previous one ended. Veronica and Czech Photo Centre team spent a lot of time to dealing with partners, preparing medial cooperations and looking for possibilities to present awarded and picked photos across the country. I had to test and choose print solution for planned exhibitions and technical consultations on the registration and voting system. Time pressure was increased by the fact that part of the preparations took place concurrently with the sister Czech Press Photo competition. While participants work ended here, ours started. Jurors had to go thru 1.800 photos and pick their favorites in each of nine categories. We then merged these individual selections and pushed all photos with three or more votes to second round. As I said already, nominations were announced – and what is next? Contest participants selected for exhibition and catalog will be notified in next few days. For us, work is not over yet. Last week we created concept for exhibition which will start in CPC from April 5th (vernissage will take place day before – at April 4th) and now we are preparing photos for printing. Works on catalog design started already as it must be printed before ceremony which will take place ad April 19th. We have few weeks only so everything must be done without delay. Although it may seem that decorating winners is the last step, the opposite is true. We have planed traveling exhibition for this year – awarded photos will be presented in Krkonoše Mountains National Park environmental centre, in Prague Zoo and Dvůr Králové Zoo and in several buildings of National Museum of Agriculture later this year. And we still dealing about more places. Of course, many other activities must take place – we need to communicate with partners, work on medial coverage and complete number of administrative tasks that such activity inherently involves. 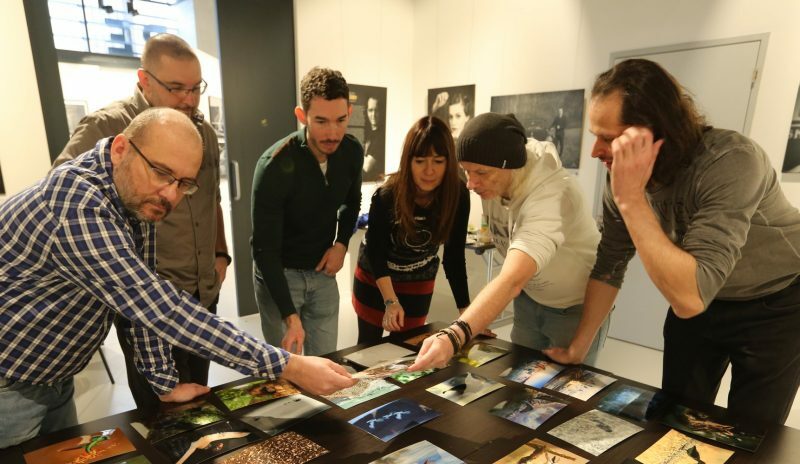 It’s not always easy, but when we discuss the photos with the jury, the final selection is made and we are gradually creating an exhibition, I think it’s worth the job. Perhaps you will have similar feelings after seeing selected works!